By: David Goodman | July/August 2010 | Who’s Milking It? Are farmers getting a fair deal? Since the 1930s, the price of milk has been set by the federal government and tied in part to the value of a 40-pound block of Cheddar cheese sold on the Chicago Mercantile Exchange. So the price that cheese trades at in Chicago is a major factor that determines what a dairy farmer earns. The problem is that the dairy industry is dominated by a few large companies that buy and sell milk. With so few players, these companies can manipulate the price of milk and cheese. And that is just what has happened: in 2008, Dairy Farmers of America (DFA), an 18,000-member milk-marketing cooperative, paid a whopping $12 million fine to the government to settle charges that it manipulated the price of fluid milk in 2004. Last fall, dairy farmers filed a class-action lawsuit against DFA and Dean Foods, accusing the two companies of “monopolizing a level of distribution of fluid milk in the Northeast and forcing dairy farmers to join DFA or its marketing affiliate, Dairy Marketing Services, to survive.” DFA has responded that the lawsuit is “without basis.” Then in January, the Justice Department, along with state attorneys from Illinois, Wisconsin and Michigan, filed an antitrust lawsuit against Dean Foods following its purchase of competitor Foremost Farms. 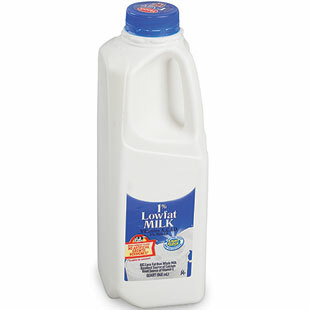 DFA controls about one-third of the U.S. milk market, and is the primary milk supplier to Dean Foods. Dean Foods controls about 40 percent of the national milk supply, about 60 percent of organic milk and 90 percent of soymilk (Dean brands include The Organic Cow, Horizon Organic, Garelick Farms, Dean’s and Land O’Lakes, to name a few). Dean Foods spokeswoman Liliana Esposito insists, “Dean Foods is not a monopoly that ‘controls’ any market. We buy less than 15 percent of the nation’s raw fluid milk supply from only 9,000 of the 58,000 U.S. dairy farmers.” But according to U.S. Senators Bernie Sanders (I-VT), Russ Feingold (D-WI) and Chuck Schumer (D-NY), Dean Foods controls about 90 percent of the market for fluid milk in Michigan, 80 to 90 percent in Tennessee, 80 percent in Massachusetts and 70 percent in New England. In 2009, as the price paid to dairy farmers for their milk fell by 41 percent, Dean’s profits soared 147 percent over the previous year. Between July 2007 and June 2009, when farmers saw their milk earnings drop by nearly half, the price of milk in stores only dropped 18 percent.